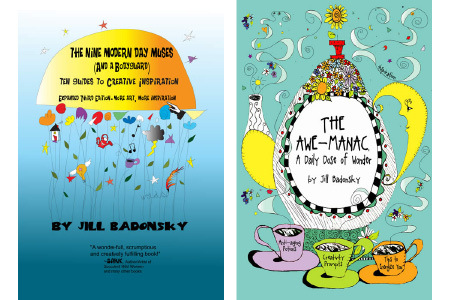 If you’ve ever wondered how to get your creativity running like a well-oiled machine, Jill Badonsky’s just-released book is like having an ace mechanic by your side helping you power up your genius and re-engineer common creative malfunctions such as procrastination, perfectionism, self-sabotage, and overwhelmed thinking. I was lucky enough to run across Jill Badonsky’s solidly lighthearted approach to the creative life a few years ago, and have been on the bandwagon of her powerfully playful philosophies ever since. She’s the reason I became a Kaizen Muse™ Creativity Coach. She’s also the reason I’m having even more fun with all my jazzbo projects, and helping others find more va-va-voom with theirs. 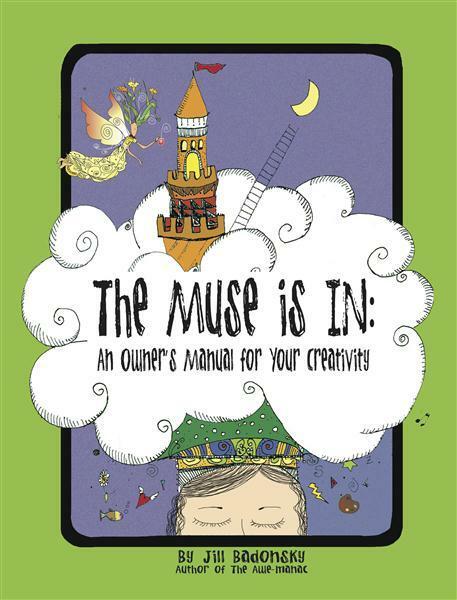 I’m delighted Jill has stopped by here to talk about her fabulous new book—The Muse Is In: An Owner’s Manual For Your Creativity. Hi Jill … This new Owner’s Manual seems to provide the missing instructions we all needed growing up … is creativity something innate we’re all born with? Yes, I believe we ALL have the ability to “create” according to the definition with which I operate and encourage others to go by. We create our work, our relationships, our experience of life using the modalities of attitude, perspective, and even grace. Many people associate being creative with being artistically talented. Anyone can forge into the world of writing, art, music, and dance. “Some people think we are either born with creativity or we’re not. Many people are indeed born with an innate talent. When they cultivate that talent through many, many hours of practice, amazing works of art, literature, music, what-have-you are brought into existence. But really, do you need to BE that person in order to discover the bliss, benefits, and rewards of creativity? No. You can develop skill with practice, but the process is what makes life more wonderful. Talented people are not necessarily happy; the ones who are also happy, know how to create joy within themselves. Passion, curiosity, healing, need, problem-solving, angst, joy, amusement, reckless abandon – these are ALSO drives that result in creativity. Everyone has the ability to be creative in these ways. That’s such a great fine-tuning way of looking at creativity … as something we all get to be in life. What about maintaining our creativity? I read recently that the word “maintenance” is from the French word maintenant, which means now. Can you talk a little about the best practices for maintaining a high creative output without giving sway to burnout or overwhelm? Everyone is different in this regard. Asking yourself, “What works for me” is a good place to start. But what works for many prolific creative people is: making creative time a habit rather than forcing through resistance every time you want to show up, asking small questions, taking walks, exposure to works that inspire, making sure you take a break to let ideas incubate, fooling around, meditation and just allowing the process to take you places. How did you keep things fun for yourself while doing all the wonderful writing and colorful art for this book? Writing and art just are inherently fun for me. I stay in a mode of childlike curiosity about the flow of surprises that emerge when you make time to just explore ideas. If my writing gets too dry I just remember that one of my favorite voices is the irreverent one and it’s a lot of fun for me to go back and tweak what I’ve written to make it more entertaining. One of the favorite parts of my thinking is how quirky I am so I’m always surprised with what I come up with. I think everyone can approach their work in this way. I love that — remembering to embrace the quirkiness and keep a childlike curiosity about what emerges. It seems to me this book is like the ultimate GPS … mapping out the best routes and scenic stops—and helping you find your way if you get lost. Yes, as an Owner’s Manual it’s packed with tips, gizmos, conditions for best operation, care and maintenance and troubleshooting. There’s lots of little pieces of added humor in both the illustrations and the writing, making it playfully practical. Start your engines! Jill, thanks for stopping by the lane-less-harried here at Paula’s Paradise, and for writing such a beautiful and incredibly helpful book that fuels you with creative inspiration on every page. Jill Badonsky, M.Ed., is an illustrator, humorist, nationally-recognized seminar leader, and creativity consultant. As the founder and director of Kaizen-Muse™ Creativity Coaching, she consults with filmmakers, comedians, artists, writers, business leaders, and anyone who is experiencing procrastination and other blocks to positive change. She is the author of The Nine Modern Day Muses (and a Bodyguard), and The Awe-Manac: A Daily Dose of Wonder. She lives in San Diego, CA. Visit her at www.themuseisin.com, www.kaizenmuse.com, or on Facebook and Twitter. We love comments. Tell us about what keeps your creativity revved. Or stalled. If there’s more than 10 comments here, Jill will do a drawing and giveaway one of her new books to a lucky commenter. We’re all lucky to have Jill’s expertise and entertaining encouragement as we go along life’s highways and byways … thank you, Jill!! This entry was posted on January 17, 2013 at 1:48 am and is filed under art, Books, cool stuff, design, favorite things, indescribable, inspiration, intriguing images, making a difference, quotes, wonderful ideas, writing. You can subscribe via RSS 2.0 feed to this post's comments. 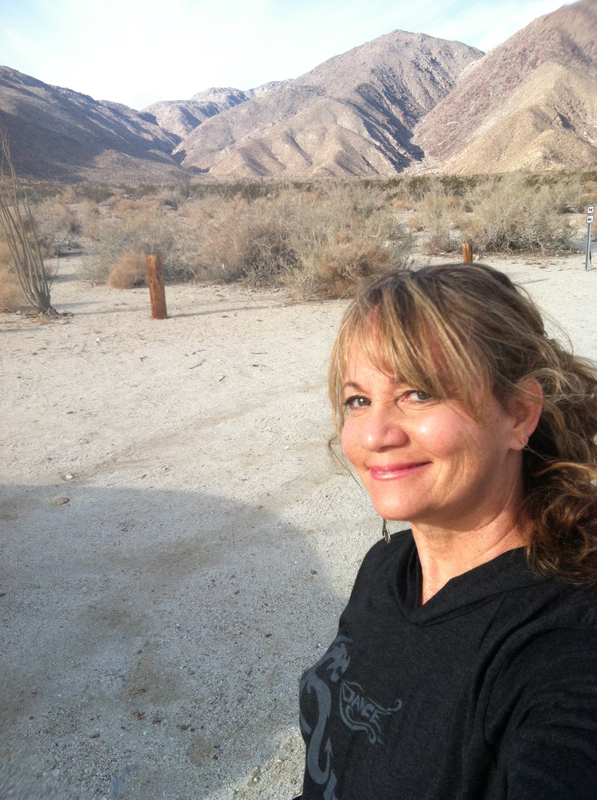 Loved reading this piece Paula…wonderful interview and inspiration. Would you two muses ever consider a workshop together in GBI? Just reading the interview has me inspired and enthused! I am off to facilitate a painting studio class for seniors today and feel this interview will influence the success of the class in a very positive way. Thanks to you both. I love her books (just bought her latest)…and your interview here is totally inspiring!!! Thanks, Marcie (all of Jill’s books ARE awe-some, aren’t they?!) … so glad you stopped by … love your photography and blog too! That GPS is working wonderfully! Dawn – you are simply awesome … thanks for this note and for sharing so much creative mojo so generously … hearing from you makes me feel like dancin’ and crankin’ up the tunes in this part o’paradise — thank you!